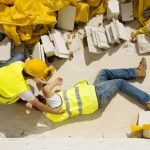 As an experienced Buffalo Injury Lawyer, I get calls from clients who’ve had a loved one killed at a construction site, their question is, “Can we still bring a claim? If so, what’s the process?” We begin by first setting up an estate to establish an entity that can pursue the claim on behalf of the deceased person. New York State’s wrongful death statute of limitations is only two years, so you’re well-advised to consult an attorney and have the investigation initiated as soon as possible. In the case of a simple, small estate, we can do most of the work here. If it’s more complicated, we work with other law firms who handle the estate creation. Essentially, we look into all of the general contractors, or project developers, or subcontractors who may have contributed to the situation that caused the death. We also begin to gather proof of the economic loss caused by the loss of the deceased person because, in New York State, that’s an important factor in a wrongful death claim. Was a loved one of yours killed in a construction accident? 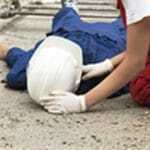 Contact dedicated Buffalo Injury Lawyer Richard Nicotra to fight for you.